Why would anyone want to use IE8 anyway? Even if you run Windows, IE8 is far from the best choice for a web browser!!! Why?? Whats the point in running Internet Explorer in Linux, I cannot fathom one single reason. I tried installing it here but it said my computer NEEDS the update. If I uncheck the "Install updates" box, setup closes. If I leave it checked, setup fails. Any clues? 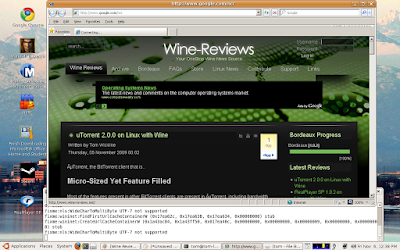 I am using wine-1.1.31, Ubuntu 9.10. I've installed only riched20, because winetricks says it already includes riched32. riched30 is a separate download, tough. "You may not use it if you do not have a license for the software. 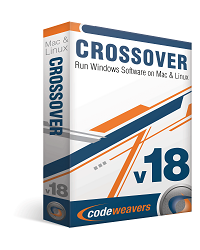 You may use this supplement with each validly licensed copy of the software." (software being a legal copy of windows) so installing on linux/wine is prohibited as you are not using IE8 with windows. (many of us do that), but you may want to at least put a disclaimer in the post for people who do worry about licensing issues. Unless you want to run a Virus Honeypot why would you install IE on a computer that already has the leading browser on it? This is just plain stupid day dreaming on the part of Windows developers. One of the reason to install IE on Linux is that some websites (like my bank website in China) require IE with some specific activeX. And I really need to be able to access my internet banking! Eric: post the link to the China bank.. There are some very logical reasons why a person may want to run IE8 on linux. There are some large web-based payroll applications, and web-based legal invoicing services to Fortune 500 companies, and web-based vendor accounting services that will only function with IE. 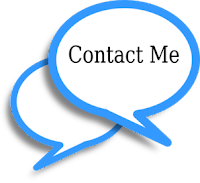 Basically, many insurance, legal, and accounting services where huge amounts of money gets moved and reported in thousands of transactions per days, may all require IE. I run Internet Explorer on Linux in order to use my company's OWA (Outlook Web Access) website for email. I can use this site in Firefox, but not surprisingly, many features are disabled unless you access it in Internet Explorer. Unfortunately, OWA requires https access, which does not yet work for me under wine 1.1.29 when running Internet Explorer 7 (and presumably IE8, unless someone can confirm otherwise). IE6 under wine can access https sites fine, so I'm still stuck using this older version. Some stupid fscking banks in Romania also require IE for Internet Banking. I wonder whether the EU Council is aware of this limitation to the customers. This is the main reason I looked for an IE on linux solution in the first place. I could ditch Windows if I had IE on my linux laptop. Have you found a solution to the problem of the require update ? I'm facing the same issue, the setup ask for an update of the system and either fail or ask for manual update. Any solution ? Looks like it does not happen on all systems. How do I get past this ? I got a couple of problems while proceeding with the above post. Fist was that the 'exe' files could not be downloaded, and I've downloaded and placed them manually in '.winetricks' folder. The installation successfully completed, but when IE8 is started at terminal, am receiving the following error. Am stuck here. Any clues? 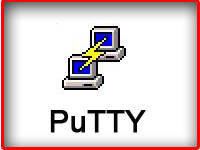 Setup could not verify the integrity of the files needed for installation. Make sure the Cryptographic service is running on this computer. Help! I'm on Ubuntu 9.10. AccesInterzis, This looks like a typo. Make sure your in the directory where the installer is and it's spelled correctly. The reason you might want to install IE is because some commercial software will only run on IE. That is the only reason for me to want to install it. This is a fantastic tutorial, and invaluable to any web developers out there who (1) *must* consider all browsers when developing websites for clients, and (2) are not yet committed to switching to Linux. thank you for this cool tutorial ..
i'm at it now, should I copy the missing Dlls into this path or not ? thank you for your efforts .. Yes thats the correct directory, if their is a wine dll there already its a good idea to just rename it, to say .bak as a backup. are you sure that I should place the missing files into $USER/.wine/drive_c/* ? because I have noticed that other files which exist in the (New override for library) drop down box, these files locates inside /usr/lib/wine folder (with a name like this : browseui.dll.so) so these files do not reside in $USER/.wine/drive_c/* folder, this path that you provided contains the three files you've listed above (msimtf.dll, uxtheme.dll and msctf.dll) but not the ones that exist in the library override drop down box in wine. so I found out that I should copy the files to /usr/lib/wine , I'm sorry for bothering you, correct me if I'm wrong ! If you copy them into /usr/lib/wine and overwrite the dlls there you will not have any builtin dlls.. They will only be native. OK? how can i apply this patch for my wine (the version I have is 1.0.1 ) ? there is no single instruction of this page on how to apply the patch !! this is so weird :( I tried everything possible ... what the hell is going on !! 3) install IE 7 with winetricks, but with this option your on your own.. No support. You need it e.g. if you make webapps where most customers are customers from all over the world that mostly use IE and you can't force them to change their browser. Microsoft ignores standards with IE, and therefore, if the previous applies, even when you have tested stuff thoroughly in other browsers, everything has to be retested specifically in IE, if the webapp should have some chance of working. Why would someone want to run IE8, I'll give one to you. Testing, majority of computer users worldwide use IE. Given the fact that IE doesn't completely comply with w3 makes it even more important to test on it. I've been working with UNIX since 1985 as an administrator and programmer, but have also been working with Windows since the early 90s. Windows has, traditionally, been far more user friendly than UNIX. Just setting up X-Windows on UNIX was, once, a challenge and certainly no task for the average user. It was not ideal for a desktop machine unless you were a geek (I'm putting my hand up here). This is no longer the case. Ubuntu 10.04 is quite a sophisticated implementation. I would much rather use Ubuntu than Windows, but the reality is that my bread and butter is earned through my work with Oracle's Siebel CRM. This is a three tiered system with a DB, Application and Web server. The client is Microsoft IE, and only Microsoft IE, versions 5.5, 6, 7 and 8. The interactivity is heavily dependent on Active X components. Any other browser provides only very low interactivity for the user (in my implementation, low interactivity is not supported anyway). So, in my world, I would love to run IE8 on Wine and clearly have good reasons for it. But, alas, the EULA does not allow it in the first instance and in the second instance, from what I've read here, IE8 on Wine is far too buggy. 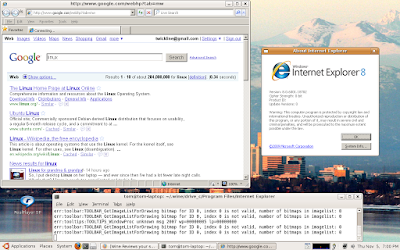 The best I can hope for at this time is IE8 on Windows in a virtual machine hosted by Linux. But then, I might as well just use Windows 7. Regarding reasons to use IE under Linux, one more very important one is web development - being able to check how the site looks and behaves in ALL browsers (and unfortunately this includes IE) is very important. If you have a legal copy of 2003 or xp you can just load that in VirtualBox OSE. Some gotchas I found in the install on the latest Debian, but after poking around I found the virtualbox-ose-modules guest package for my kernel and it worked. With 128 MB alloted for memory and a 5G virtual disk I got IE8 plus Winamp and Norton AV running just fine. Sure beats fighting all the stuff listed here. Wine is great for Sol and Freecell and Quicken and a bunch of stuff I haven't done lately. For some reason no one has been able to duplicate the card appearance for Windows Solitaire and the other versions hurt my eyes. I am also unable to execute the installer (kubuntu-10.04), as during install it forces me to install updates, which it cannot install. To the people asking why anyone would want to run IE8 in Linux, you are clueless. Websites and apps don't build themselves. Developers build them and they need to test them so they run on IE8 for ignoramuses like you! And most developers don't develop on Windows cause it's a terrible OS and far from the production environment where their code will run. Any questions? I think not! Being able to run Internet Explorer on GNU/Linux or Unix systems would mean "even Microsoft native programs can be run outside of Windows". This will shut up those people who claim that GNU/Linux have very limited softwares that it can run. And I hope Wine becomes more and more capable of running Windows games and other programs, so that Windows become less and less usefull. I have nothing against Windows other than the fact it stands for monopoly/hegemony/ignorance/restriction/vendor-lockin. Look at all these people who can't fathom why anyone would want to use IE8. It doesn't really take much though to figure it out. 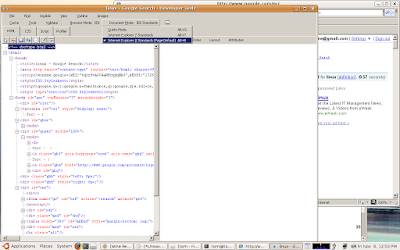 Web developers need to test their applications in Internet Explorer. I setup AWStats on one of my web applications and it says that over 60% of our clients are using IE and 80% of the clients who use IE are using IE6. The reason I found this page is that my company bought a time reporting web application that does not work in Firefox, Chrome, Opera, or Safari. Now that was definitely a mistake but it's a mistake that I have to deal with and to deal with it, I'm installing IE on Fedora. So those out there who say, "There's no reason for this because my way is the right way and there is no reason to do it differently", your reality is small, boring, and not real at all.